PDF Download, A4 88pp + 4pp covers, colour illustrations throughout. A Lithics Analysis Catalogue is available as PDF and Excel formats – see below, links are provided in the report too. We hope to receive funding to print hard-copy books for distribution within the community. 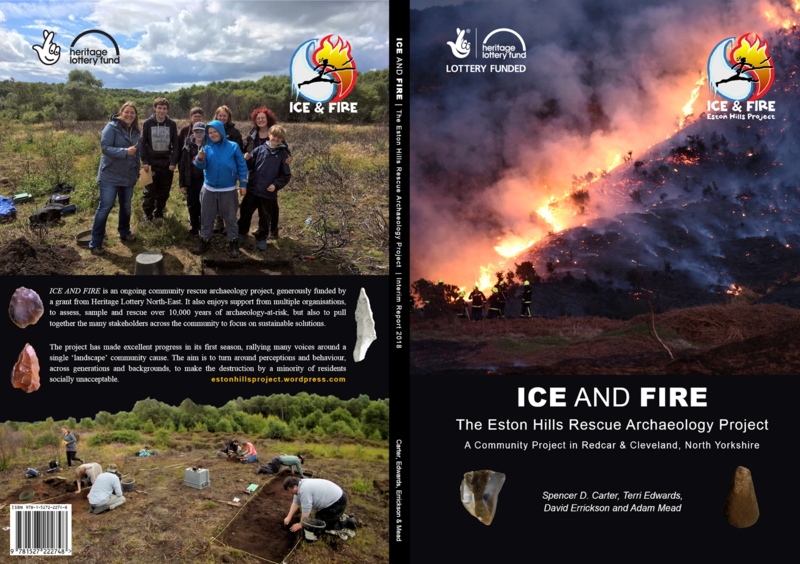 We’re also planning a museum display of finds, previous material from Eston Hills as well our recent discoveries, at Kirkleatham Museum. Additionally, we’d like to have a display of hands-on “feel free to touch” replica artefacts and 3D-printed finds, at the Flatts Lane Country Park Centre – news to follow, our pottery and flint-knapping artisan friends are ready to help!